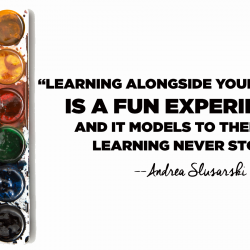 Incorporating encaustic painting into your curriculum can seem daunting. You’re probably envisioning tricky processes and costly materials. But you might be surprised to learn how simple it can be. In this episode, Lena Rodriguez joins Tim to dive into one of her favorite mediums, and gives advice on how to get started. 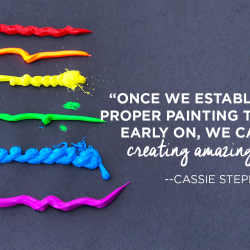 Listen as they talk about why kids love encaustic painting, the materials you need to get started, and even a couple lessons for when you first get going. Full episode transcript below. Today we’re going to dive into a medium that not a lot of teachers have in their classroom which is encaustic painting. Now personally I love encaustics. I love the look. I love the process. I love teaching it to my students. However, getting into encaustic painting was really difficult for me when I first got started because I knew nothing at all. I had to teach myself everything, and it’s not easy. It’s tough to find information. It’s tough to know where to get started. When it comes encaustic painting, there are just those barriers to entry. Like there is a huge lack of knowledge out there. 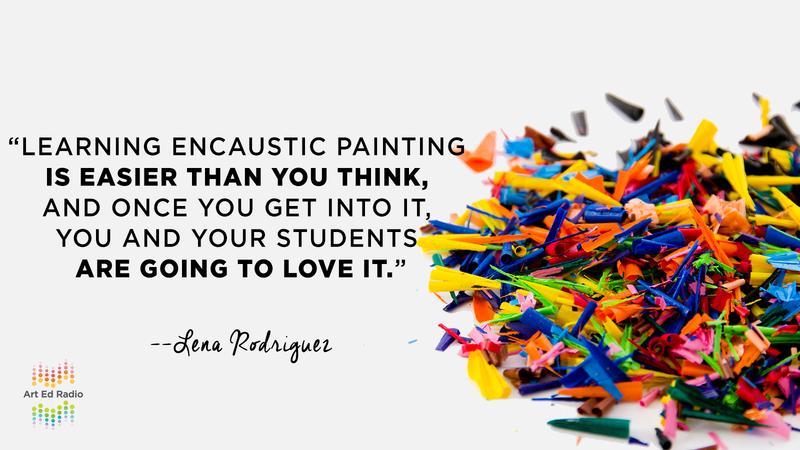 I don’t think a ton of art teachers know exactly what they’re doing with that, and even if they do a little bit, it’s difficult to know exactly how or what to teach to your students. Another barrier entry is the cost. Those materials can get really expensive, and it’s sometimes really tough to find the materials you’re looking for as well. That kind of goes into the third I was thinking about, which is just the lack of supplies. When you look through catalogs, when you go to various art stores, you don’t see a ton of options for encaustics materials. It’s tough to get started. We’re not going to be able to solve all of those problems today, but we’re going to hopefully give you a few of the tools you might need to get started if that’s something that interests you. My guest is going to be Lena Rodriguez. You’ve heard from her back in January I think it was when she was on the podcast for the first time, and she and I talked about helping students find their artistic voice. You probably also know her if you’re somebody who attends the Art Ed Now Conference. I think she’s been a presenter three times now, and I’m hoping to convince her to come back again this summer. Long story short, she is great and I think you’re going to enjoy the conversation. So let’s go ahead and get us started. All right, Lena Rodriguez is back on the show with me. Lena, how are you today? Lena: I’m doing really well. Thank you. Tim: Good. Good. I’m excited to talk to you again. We have a lot to talk about. Your new PRO Learning Pack about encaustics has come out, and I know a ton of people have a ton of questions about it. So I kind of wanted to dive into that today with our conversation. Can we just I guess start with the basics of encaustics for people that don’t know about the medium? Like can you talk about the medium itself, what it is, and more importantly how you got started with it, what you love about it, anything else you want to throw in there? Lena: Sure. Yeah. Encaustics was something that I’d always heard about, but never really knew much about. I know at different conferences I would go and I would see a little setup and it was very intimidating because they were selling all of these high priced encaustic key plates and things like that and the materials that it just didn’t really seem practical for my studio, so I never really looked much into it. About seven years ago one of the parents of one of my students who I taught that year wanted to gift me like a teacher gift at the end of the year. So she actually got me a one day workshop at this place in Richardson, Texas called The Encaustics Center. So myself and her … my student, her daughter got to go spend the day with artist Bonny Leibowitz and learn the ins and outs of encaustics. So that’s really how I learned about it, and since then I’ve gone to The Encaustics Center multiple times for work days and also to take more workshops and classes, learn more about encaustics. Encaustic painting is painting with melted beeswax and pigment. Actually a really old form of painting. It’s highly archival when done correctly. Tons of years went by where a lot of people didn’t know a lot about it, and people weren’t practicing it, and it’s something that’s kind of reemerged again and starting to get popular. Like I said, it’s been around for a long time and it’s just made with wax pigments and it’s fused together, each layer fused together with heat. Tim: Okay. Cool. I like the idea. You don’t think about how it can be archival, how it can last for ever. I know you had talked about that when you did your conference presentation on this a while back. And I thought that was always fascinating. But I wanted to ask like, after you did this workshop and kind of figure out what’s going on, how to create it, like how do you get started doing encaustic painting with your teaching? Like what do you need for your classroom? Like how do you go about setting up a station for kids to work with? Lena: That’s what’s awesome about this Learning Pack is that I give all that information. So basically how I set up my station and my classroom it really for me it’s become a permanent fixture because it’s a lot of stuff to get out and to get ready, and having it visible for students to see is a frequent reminder that it’s there and it’s available for them. I find an area in one of my studios basically that is going to be well ventilated and it’s available students when they need it. So I basically, my set up, I’ve got my chalk plate and I’ve got various waxes and lots of different tools from just regular kitchen spoons for doing photo transfer and burnishing to cooking scrapers and spatulas and things like that because you can use that with encaustic. You don’t necessarily just have to get all of your tools for this at an art supply store or specialty shop. You can find things just at your local grocery store that you can use to work towards it. As far as how I get it started with my teaching, it’s something that I really want all of my students to have and understanding the experience with. So, because I only have like two stations in my studio and only two students at a time can work on it, that’s not really practical for the teaching part. So what we have done for the last four years now is that we actually take every freshman group to learn the ins, the outs, the safety components, and we count that as their training. Once they’ve completed that course, then they can actually use the encaustics setup in the classroom. Now that program isn’t … It’s a like $100 class. So how we supplement that, the students go for it themselves, but through a commission earlier in the year, they do a commission project and the money that they raise from that actually goes to pay for their workshop. So it’s not anything that you necessarily have to, so gift wrapping paper for or cookie dough or candy bar or beg your administrator for the students find a lot of value because they’ve actually earned and worked through that experience. Tim: Yeah, that’s really cool. I guess kind of going along with the setup, you mentioned ventilation, you mentioned hot plates, and I know it’s kind of intimidating, especially for kids that are a little bit younger that are working with this. What do you think people need to be most concerned about or most aware of as far as safety when they are starting to set up a station like this? Lena: Definitely handling heat sources it’s going to be the most important, knowing at what melting point the particular wax that you have melts at because what you don’t want it to do is get too hot and to smoke. If any type of smoke is coming up from your hot plate it’s too hot. That’s one of the things. And then just like I said, handling the heat sources, reminding yourselves that that hot plate is hot, usually around 250 degrees, and you heat it with the heat gun. So knowing too how to place the heat gun down when not using it and how to accidentally not grab the front of the heat gun which I’ve done before. Lena: Is so important. And this is possible in smaller numbers for the younger ones. I’ve really only done this with middle school and high school students, but I’ve seen this done on elementary level. It may not be with the hot plate or anything like that and it’ll probably be with something like beeswax candles that don’t require such a hot melting point. But any time you’ve seen crayolas melted and things like that, one could really consider that introductory encaustic painting. It’s actually quite possible for all grade levels, but definitely those are the two main safety issues, is just working with anything that’s hot. Tim: Yeah, that makes sense. That’s cool. I also wanted to ask you, as people are getting started like about beginning lessons, about how you get started with kids, like what techniques are you teaching them, like what do you want them to do, like can you walk us through maybe a lesson that you put together, a beginning exercise that you teach? Lena: Yeah. So one of the beginning exercises that we work with them when they’re learning the process is just really the components of the encaustic paint, what materials are used to create it. We also like to, let me get my paper here, we also like to ensure that they know that because this is heat regulated, that the cooler the wax gets on the paintbrush, the more textural marks you’re going to get from it and it’s not going to flow and blend as well. So they have to learn how to practice to manage their time and their brush strokes because as soon as they pull that brush out of the wax, it immediately starts to cool down, and so they have to make sure they’re working at a pace that renders the results that they want. Now sometimes if they want something really textural, then it’s great to let that brush sit out in the air for a second or two and then apply, because then you get really great brush marks. But if they want something smooth, they have to work rather quickly. Another key component is going to be fusing because basically you’re adding layer after layer after layer of wax on top of each other. Fusing is basically just melting down that first layer and that second layer so they bond with each other. So after each layer you need to fuse. And that solidifies and makes the piece stronger and more archival. If you don’t fuse correctly, if you just barely knock the piece a little, you’ll see parts of the wax just break off in chunks because it’s not completely bonded. That first layer has to be bonded to the substrate, second layer to the first layer, third to the second and so on. Fusing and ensuring that your drying time between fusing is adequate is important as well. As they become a little more advanced, we introduce a butane torch to them, but I would say that’s more like a pro level. We also like to teach from how to make their own encaustic paint and how to make their own paint colors from scratch. So many times our students that pursue encaustic like for an AP portfolio, they’re actually making their own paint and they’re basically creating their color scheme and their color palette from scratch. Those were a couple of different ways on different levels, both the high and the low end on what I like to teach with this process. Tim: Yeah, that’s really cool. I want to get back to the whole making medium, making the paint themselves. But before we get to that, I just wanted to ask how kids generally respond to encaustic painting, because I know it’s not precise, it’s not super controlled which some kids get frustrated with. But are they generally into it when you introduce it? Are they scared of the heat at all? What do they enjoy? What do they not enjoy when you’re introducing this? Lena: They get so excited about it. It’s so different. I mean, they’re teenagers and preteens, so it’s like fire. So they’re just stoked about that. But I also make it a point when students are working on their projects that I’m also working projects periodically, and one of my mediums of choice is encaustics. So I’ll bring a lot of my encaustics stuff from home, and I’ll bring it to the studio, and I’ll create work as they work so before they even take the encaustic class, they’re already familiar with the process because they’ve seen me do it. And of course they’re, kids are always intrigued when they see their teachers making art. There’s already a general interest built up by the time we teach them the process. When we go and come back, they always say that that encaustic experience was their best experience that year. So they’re generally excited. What they like about it is and how I’ve seen them use it the most in studio, it’s a really great way to lay down an interesting background to a piece. So if they’re wanting to do a portrait or a still life, and we talk about what are you going to do to start off the piece, whether you’re going to do mix media background, are you just going to do a solid flat color, they end up a lot of times wanting to use some of the encaustic for the background, especially if they’re doing mix media, the drips with the wax is really cool. So they like how versatile it is. The only thing they don’t like is that it’s limited to how frequently they can use it. I do not have the encaustic set up … I don’t have it heated up every day for them to view. So they have to a lot of times it’s one of those things that they come in after school and they schedule a time with me. So they come in after school and I’ll have everything set up and heated up and ready for them. So it’s not one of those things you can just slip on, do, turn off, and go back to. I would say the limitations to how frequently and when they can use it is probably the only thing they don’t like about it. Tim: Okay, that makes sense. No, that’s cool. I like the idea of not only doing encaustic painting on its own, but like you said, as part of a different work as well, whether it is for the background, or some other addition that I think that’s a really cool way to go about it. But then just kind of last question before you’re going back to the idea of making medium, making paint, and all of that on your own. I was looking through your PRO Pack, watching some of it, and you have like the encaustic medium recipe, the paint recipe, and just all sorts of other resources. So can you just talk about those really quickly? Like not only the resources that are there and what you put together, but like what people can expect from the PRO Learning Pack, like what you did and what they can learn from it? Lena: So what you can learn, what anybody can learn is how to save a lot of time and money learning how to do this process. You won’t have to go to a workshop or an all day class like I had to. You’re not going to have to do a ton of research on what works and what doesn’t work. I think that’s the most that they’re going to get out of it because it’s really, it’s really, like I said, it’s very daunting. So this Learning Pack actually walks you through the basics on what it is, how to create your mediums, where you can buy some of these mediums if you don’t want to make them yourself. A lot of times I always teach the kids how to make their own medium, but I’ll be honest, I buy it and I buy it in bulk because it’s work smart, not hard, and it saves a lot of time. In this Learning Pack they learn the basics from where they can get the materials, what the setup looks like, a step by step process on how to get started. We get into the fusing. We get into how you can utilize different types of tools to get different types of textures. And the supplemental information, everything like if you’re not following what I’m saying word for word, it’s totally fine. I know I kind of sound, I feel like I sound monotone. So if that’s not really quite doing it for you, the supplemental handouts that are included, I believe there’s eight, goes through everything and bullet points everything that I’ve taught you that you’ll need to know from safety tips to the basic materials that you’re going to need, the recipes, so the materials you need and the instructions and how to make your own recipe, and also how to make your own paint and what materials you need to make your own paint. And then of course the steps on how to create the projects. It also includes two different projects that I think are good for any grade level. So it has it summarized into three different components, and it’s really easy for any teacher to utilize once they have gotten the hang of the encaustics and ready to introduce it to their students. Lena: Well, we’re most critical of ourselves, so. Lena: We’re getting used to this talking in front a camera and even like talking to my computer screen right now. Tim: Yeah, exactly. But, no, it all came together really well. I definitely think it’s worth checking out. Lena, we can wrap it up there. 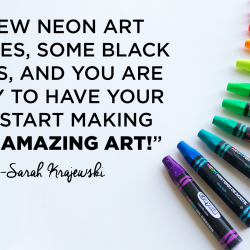 Thanks for coming on to talk a little bit more about it, and hopefully this’ll get a few more people checking out the Learning Pack and getting started with some encaustic painting. Lena: Awesome. Well, thank you so much for having me. This is my second time and I really enjoy it. Tim: Good. Well, I enjoy talking to you so we’ll have to do it again sometime. All right, thank you. Lena: All right. Thank you so much. Tim: Thank you to Lena for coming on to talk about her newest PRO Learning Pack. There is so much there for you to check out. And hopefully it will give you all of the tools that you need to get started. 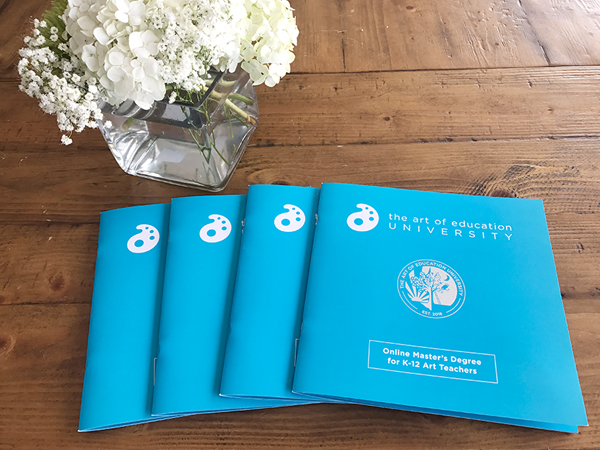 And of course that gives me the perfect segue into talking about Art Ed PRO, AOEU’s essential subscription for professional art teachers, on-demand professional development with video tutorials, the downloadable handouts that we talked about, and all kinds of other resources to help take your teaching to the next level. We now have 96 learning packs, including the Getting Started With Encaustics Pack, and we have so many topics covered and three new packs coming out at the beginning of every single month. 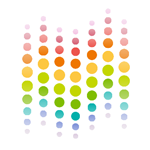 Art Ed PRO is the professional development you need when you need it. So make sure you check it out, and start your free trial at theartofeducation.edu/pro. Hey, and I will just encourage you to take some time to watch Lena’s Learning Pack if this is something that interests you. It’s fun. It’s got a lot to get you started with encaustic painting. Seriously, there are resources on everything you need, recipes for the medium, recipes for paint, safety breakdowns, lesson plans, basically everything you need except the supplies themselves. And she even tells you what you need to get and where you can get them. So I hope you enjoyed this conversation today. I hope you enjoyed the Learning Pack, and I really hope you give encaustics a try. Art Ed Radio is produced by The Art of Education University with audio engineering from Michael Crocker. Thank you for listening, as always, and we will be back with you next week with one of AOEU’s newest writers, Sarah Krajewski. We’ll talk to you then.